Centuries ago Britain attempted to sever ties with the continent – and it ended in murder. 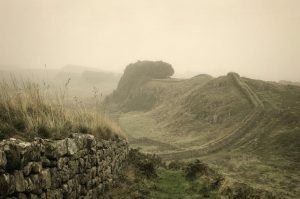 From the first to the fifth centuries AD, Britain – though not officially Scotland, which lay beyond the frontier at Hadrian’s Wall – was part of the Roman Empire. It was situated at the empire’s westernmost periphery, which was probably a contributing factor in a number of attempted power grabs. During one of these events, in the late third century AD, Britain exited the Roman Empire for a period of around ten years. 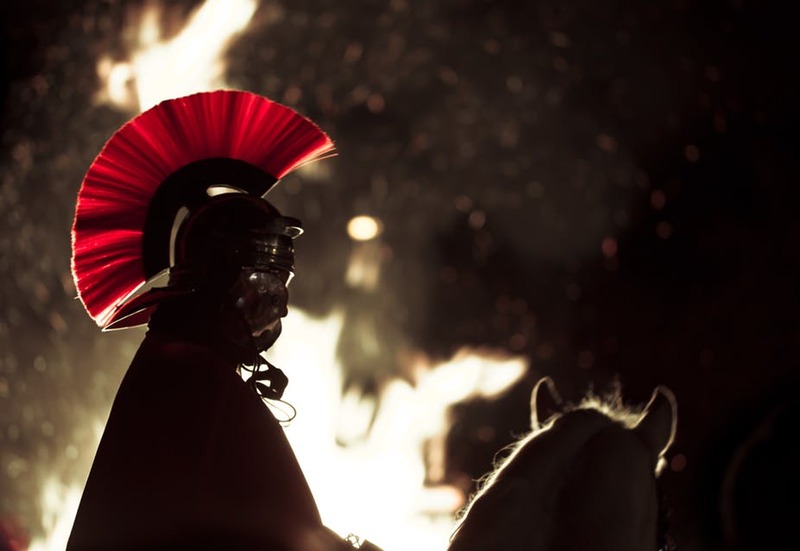 The Roman Empire was, of course, very different from today’s European Union – but it is tempting to ask whether this could be described as the first Brexit. The Roman Empire in the third century was in a period of economic, political and social change, now known as the “Third Century Crisis”. The period saw intensified disturbances and incursions along its frontiers which drained military and economic resources. It was a period of inflation, coinage was devalued and the old elite order in Rome was being challenged, especially by the military. Against this backdrop was born the short-lived breakaway Gallic Empire (260-274AD). It was formed out of territories in modern Germany, France, Spain and Britain under the leadership of the usurper Postumus. But Postumus was murdered in 269AD and the Gallic Empire didn’t last much longer without him. But following the rise in the power and influence of Carausius in the 280ADs, Britain again broke away from the Roman Empire – and this time alone. 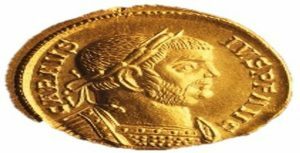 The history that we have of Carausius is extremely patchy, coming as it does from a small number of problematic textual sources, a few propaganda images and limited text on coins and medallions. Consequently, we need to take care in our reconstruction of events. Nevertheless, Carausius appears to have come from coastal Gallia Belgica, an area which corresponds roughly with Belgium today. He became a military commander and was then appointed by the Emperor Maximian to assemble a fleet to help with the problem of piracy in the North Sea. The sources say that Carausius then fell out of favour with Maximian, who ordered his death, seemingly because he was keeping the confiscated booty rather than passing it on to the imperial coffers. He may well also have been becoming too influential. Sources say that to escape death, Carausius made a rather ambitious move – and declared himself emperor in Britain in 286AD. In reality, this is likely to have been a long and gradual process of gaining support and influence, aided by Britain’s remote position on the edge of the empire and its growing dissatisfaction with the workings of Rome. Carausius minted many coins for propaganda purposes, emphasising themes, such as local agriculture and wealth production, which would have been essential for Britain’s survival outside the Roman Empire. But Carausius’ position appears to have been fairly precarious and he was assassinated by his finance minister, Allectus, in 293AD who then also attempted to style himself emperor. Eventually, attempts to retake Britain were successful and in 296AD, Allectus was most likely killed, too. 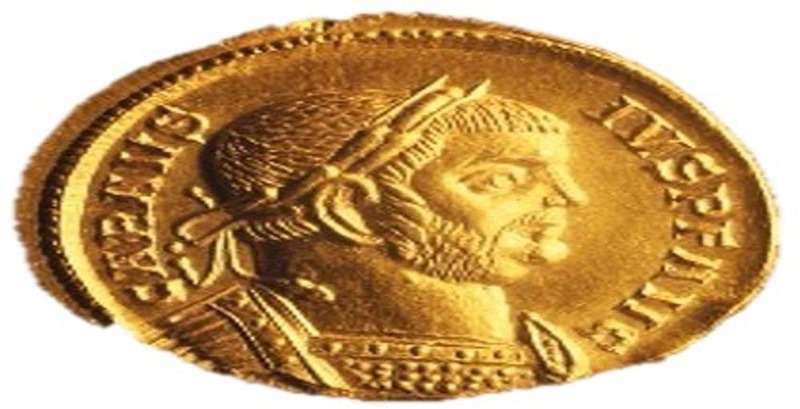 Sources of imperial propaganda include a medallion, which described Constantius Chlorus, who led the invasion party to reconquer Britain, as “redditor lucis aeternae” (“restorer of the eternal light”). The AHRC-funded project, Crisis or Continuity? Hoarding in Iron Age and Roman Britain, is a joint project between the University of Leicester and the British Museum, set up to investigate the phenomenon of coin hoarding. In particular, it is investigating the seemingly large number of coin hoards dating back to the third century and whether these were the result of the crisis. While the issues are complex, it seems that imperial monetary reforms and devaluation were major reasons for the hoarding. The project also intended to investigate hoarding within the wider economic, political and social context of the time through a study of the archaeological evidence that tells us about the settlements, living standards and economic activities of the period. It could be argued that an element of growing discontent in Britain at the time would have contributed to the opportunism of Carausius who perhaps successfully appealed to this disquiet. Using modern terms, Britain in the third century was an increasingly unequal society with large villas and townhouses – the grandiose and conspicuous homes of a tiny proportion of the population – appearing for the first time. Then, as now, it is possible that large numbers of people felt overlooked by the ruling “elite” and its links to a European power base. It is likely that convincing the military stationed in Britain was also an important factor. But this brief “Brexit” did little to change the lot of the majority. When Britain returned to the Roman Empire and trade resumed, this inequality appears to have intensified with more large villa estates appearing on the map. 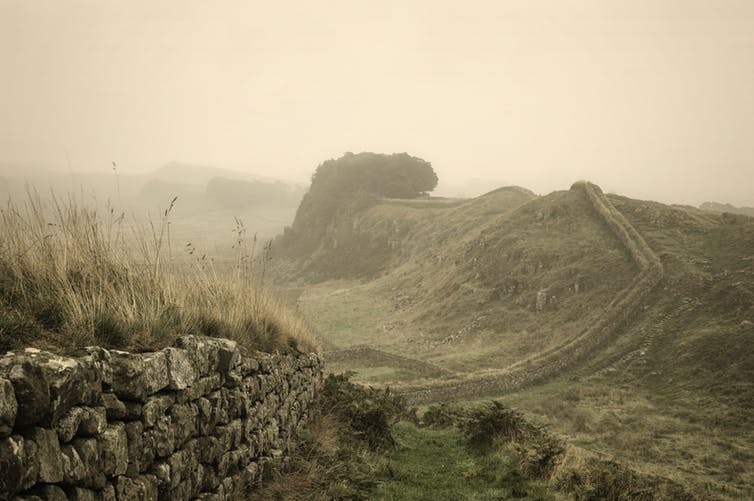 The majority of the population in Britain are likely to have had fairly grim lives under Roman rule but whether their lives were better under Carausius seems unlikely and is difficult to pinpoint archaeologically. As a self-styled emperor, he would not have had any interest in the majority of the people of Britain. The broader Third Century Crisis did result in some substantial changes to the organisation of the empire, including a reduction in the size of provinces and an increase in bureaucracy, but these changes appear to have been ultimately unsuccessful. Britain fell out of the empire for good in 410AD and the Western Empire broke up soon after. What followed in Britain came to be known as the “Dark Ages” (although how “dark” they were has been much debated over the past few decades) – a period of dramatic economic and cultural change, which saw a reduction of trade and ease of movement across provinces. This entry was posted in Ancient, Britain, History, Roman, Rome. Bookmark the permalink. 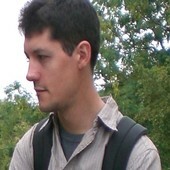 ← The Agricultural Revolution: Positive Progress or Biggest Blunder in History?